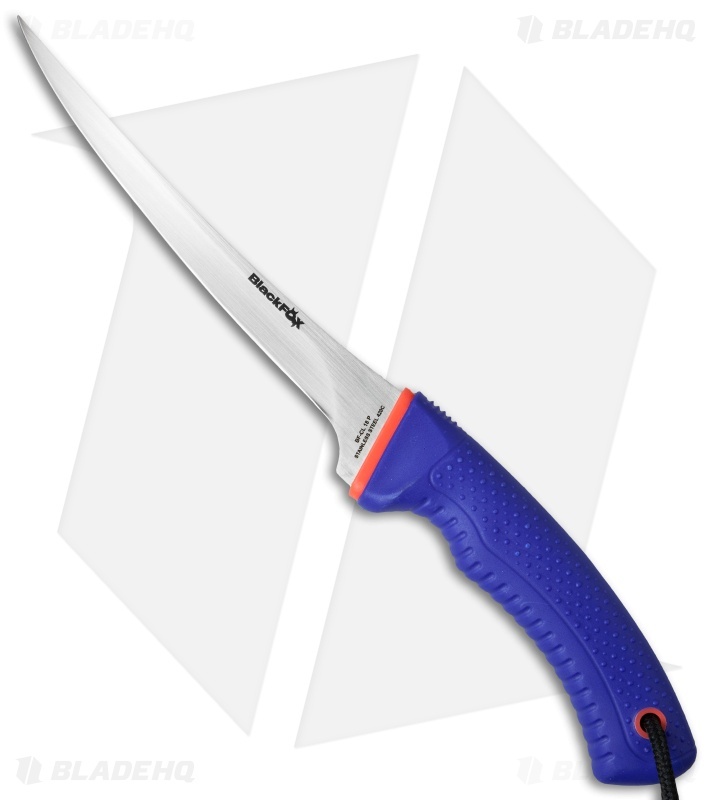 This durable filet knife comes from the BlackFox Water Collection line of diving and fishing tools. It has a rust resistant 420C stainless steel blade and a rubber injected handle. The handle is made from blue polypropylene which is lightweight and easy to grip. 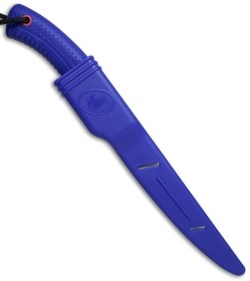 It has a 7" blade and an overall length of 12". The knife comes equipped with a matching blue sheath and a lanyard cord for convenient everyday carry. This affordable BlackFox filet knife will make the perfect addition to your fishing gear.